Home / Run’s House & BC Magazine are Giving Away… Sneakers?!? That's right, we've got a pair of sneaks to giveaway. Stop looking at me like that, you know you want them. Run’s House & BC Magazine are Giving Away… Sneakers?!? Have you ever found yourself running down a dream? Have you ever found yourself running for your life? Have you ever found yourself running with scissors? Have you ever found yourself with nowhere to run, nowhere to hide? Simply put, do you run? Do you like to run? Do you want to run but really don't know how to get started? Shoes. It's got to be the shoes. You need good running shoes. How can you run without running shoes? You can't. You just can't. Don't try, you'll look foolish. Who knows shoes? Certainly not the average guy down at the mall (though they might, I don't mean to take anything away from them, but I have someone better in mind). The man that I think of when I think of shoes is the man that runs, the man who is Run, Reverend Run (that's right, Reverend Run of Run's House, you know, Run's House, the MTV show, the current season is airing now, Thursdays at 10pm). You know, Reverend Run who helped hook a couple of lucky winners up with some Run's House DVDs. That's right, that Reverend Run. Well, that Reverend Run is back again, he and his people are teaming up with Blogcritics Magazine to help one lucky winner get running. And how will we be doing that? By giving away a pair of running shoes, of course (surely you saw where that was go ing, didn't you?). Here's the deal. We'll be giving away one (1) pair of shoes to a lucky winner. 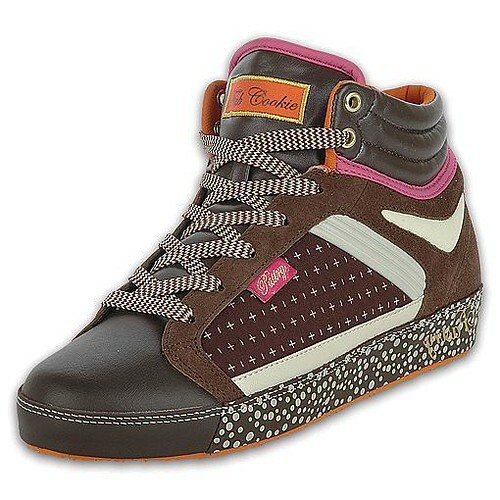 If the winner wishes a lady's shoe, it will be a pair of Pastry brand's "Fab Cookie Boot" in chocolate. See the picture to the right, because it's awesome. If the winner wishes a man's pair of shoes it will be the Arthur Ashe shoe in "Aussie Grand Slam (brown)." We will do our best to accommodate the shoe size request, but make no binding promises (you work with us, will work with you as best we can, that's all I'm saying). Entries must include the subject line Run's Shoe Giveaway. Any entries that do not include the required subject line will be discarded without consideration. Entries must be received by November 23, 2007. The winner will be drawn on or after November 24, 2007. Please specify men's or women's shoe and provide a shoe size. Oh, and another thing, actually running in the shoes probably isn't recommended, you wouldn't want to scuff them. You scuff them and the Reverend comes looking for you. You don't want that. But, you do want to catch him on MTV in Run's House, Thursdays at 10pm.